The coils in the response message are packed as one coil per bit of the data field. Status is indicated as 1= ON and 0= OFF. The normal response is an echo of the request, returned after the coil state has been written. Select COM port where the Relay is installed (in this example it is COM Port 4) and click to OPEN button. Write (copy/paste) command without Check Sum (CS) and click on SEND button. Software calculate Check Sum and send command to relay board. NOTE: You don't need to enter checksum manually. 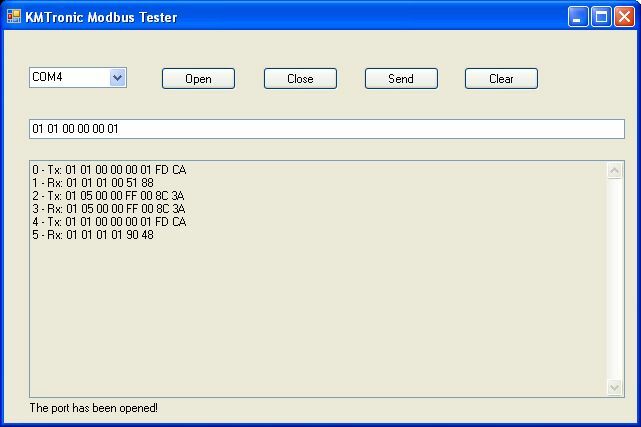 The software automatically calculates checksum and adds it to the main command.